Indeed the desire to visit Lebanon arouse years back when I started reading the great poet Gibran Khalil Gibran in my adulthood, and it strengthened up when I moved to Dubai and had Lebanese coworkers. I had been super busy with office work managing some events and needed a break but was not able to take a long break, so I started planning a four days trip. Air Arabia had a promotion going on for a direct flight to Beirut from Sharjah for just 200 US $. After checking the visa process, I immediately grabbed it. Next step was booking a hotel, and booking.com was my friend. I quickly found a reasonable hotel and applied for the visa at Consulate General of Lebanon in Dubai and received it in three days. I was travelling on Friday which is the start of the weekend in Dubai and was flying from Sharjah International airport which is a much smaller airport as compared to Dubai but with adequate facilities. I used my Credit Card to get complimentary access to the First Class Lounge, check out my post how to get free access to 700+ airport lounges across the world. Flight to Beirut is just 3 hours and passport stamping was quite comfortable at the immigration once I reach Beirut International airport. After getting my luggage I came out of the airport and started looking for a taxi, of course, it was an airport, so the taxis were expensive, I paid 20$ for the journey to my hotel which was almost 10km from the airport. 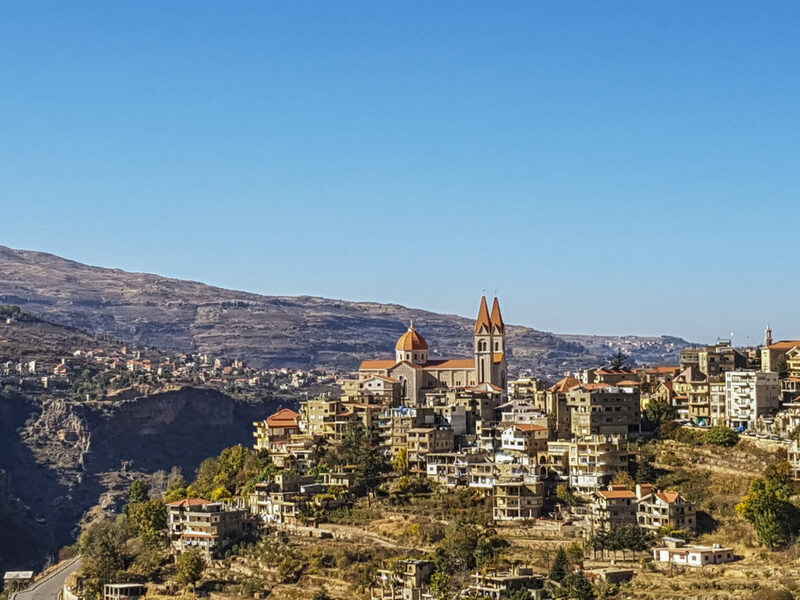 After checking into the hotel, I took some tour brochures from the hotel reception and started looking for attractions in Lebanon. I already have planned to visit Raouche Rocks, Cedars of God, Jeitta Grotto and of course Gibran Khalil Gibran’s museum. After getting some rest, I went out of my hotel to see the neighbourhood and to eat something. Luckily there were some restaurants nearby, and I ordered a beef Shawarma, it was not bad. I booked a taxi with my hotel for the next day to tour Cedars of God and Gibran’s museum; it cost me 100 $ return. The drive was excellent, and I enjoyed every bit of it, full of greenery and small villages and town coming up in the way occasionally. 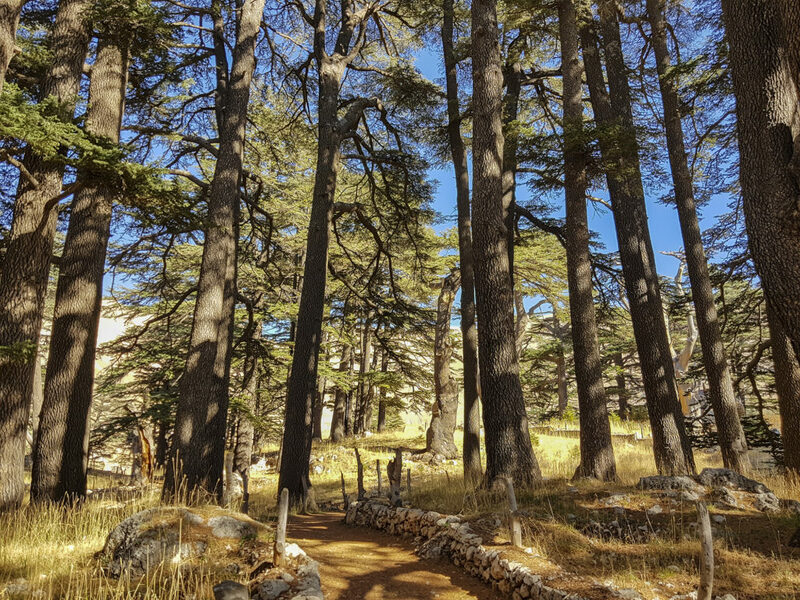 After around 3 hours of drive, I reached Cedars Forest, commonly known as Cedars of God, it was already chilling as it was 1600+ meters above sea level. It is also listed as UNESCO world heritage site. There’s no entrance ticket, but you are expected to contribute some donation. 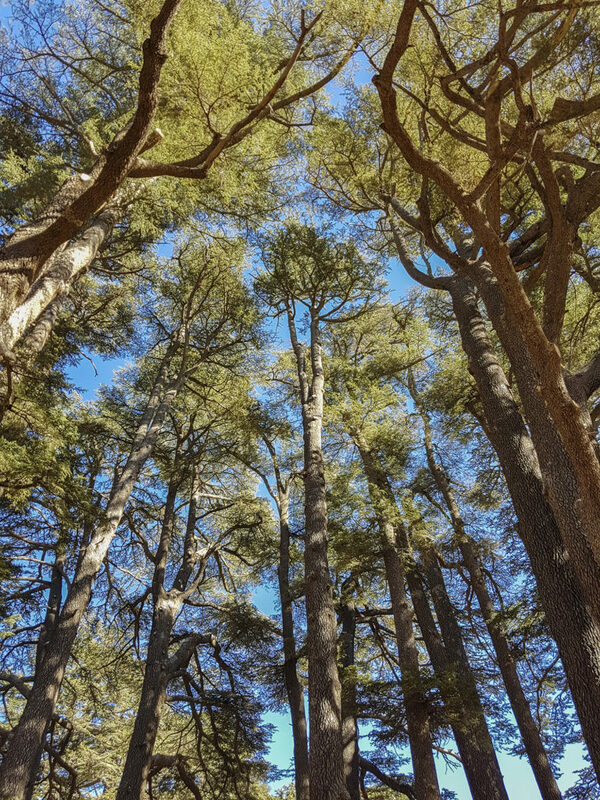 Please be generous to help the Friends of Cedars association to preserve it. Good news is that now the forest is rigorously protected and has undergone reforestation in 1985. You’ll enjoy the incredible scenery in winter, and the trees are covered with a blanket of snow. I also came across a big tree, on my way, in which sculptures were incarnated in it by a Lebanese artist. After having a walk of almost one hour and relaxed in this peaceful place, I headed to Gibran’s museum. While driving to Gibran’s museum, I was feeling a special connection with him as I was reading his books since my teenage and admire this celebrated author, poet and painter. 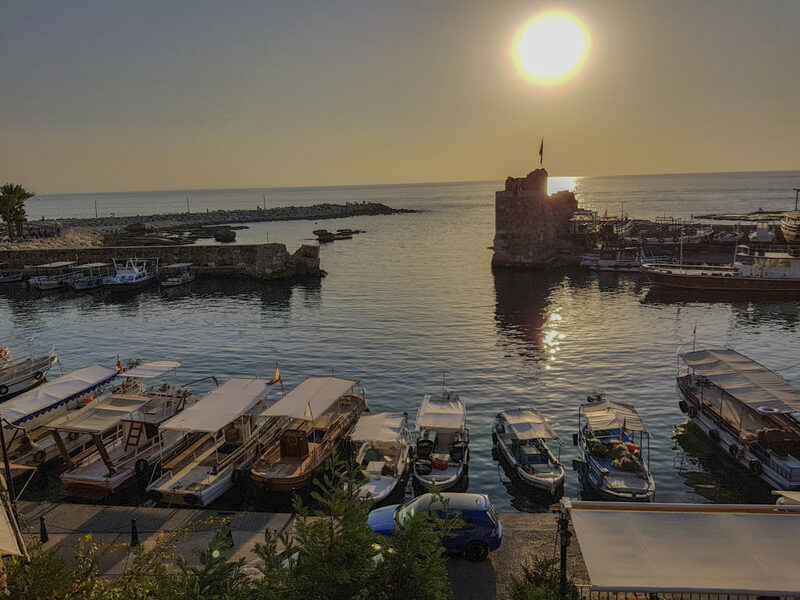 On my way back, I stopped at Byblos and saw the sun setting in the sea. Then continued my journey back to Beirut, I was already tired with a day-long trip and preferred to stay in the hotel. I had dinner at the restaurant located on the ground floor. 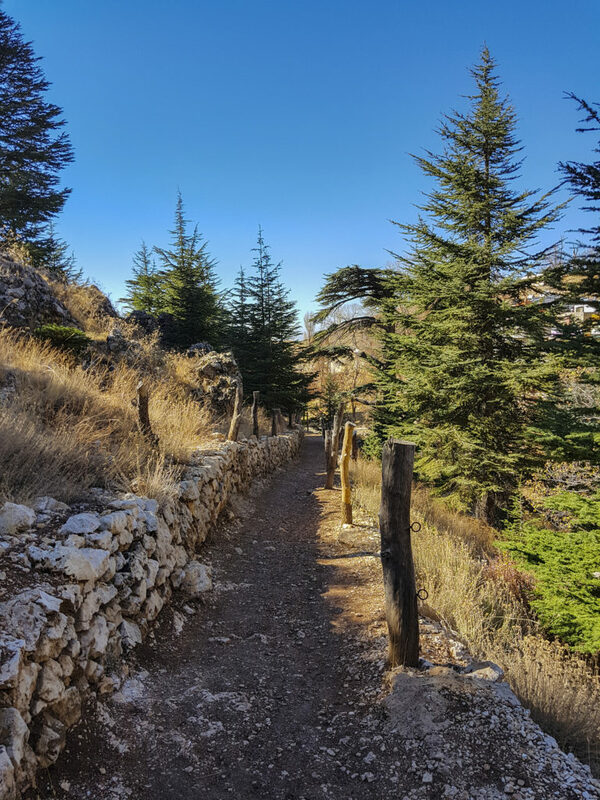 Some old fellas were enjoying their drinks, I initiated the conversation with them and admired the beauty of Lebanon. There were very friendly and gave me insights into the history and culture of Lebanon. 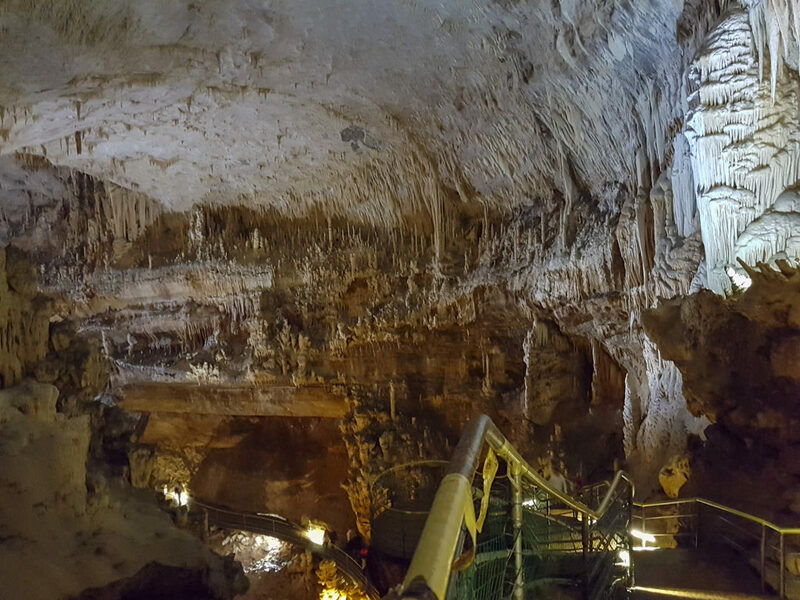 Next day I found the same taxi driver waiting in front of the hotel, I had the plan to visit Jeita Grotto which are two interconnected caves spanning an overall length of nearly 9 kilometres. Found this statue near the entrance surrounded by colourfull autumn leaves. Especially the lower grot is very beautiful. With the boat, you can make a tour in the beautiful, clean water in the grot. Cameras are not allowed, I sneaked two pictures, sorry. You take a boat ride inside the cave, which floats over beautiful clean water and present and excellent experience. On the way back, I stopped at the significant landmark of Lebanon; Raouche rocks also known as pigeon rocks. It presents a beautiful view of the dark blue sea. I hired a boat to look at these stunning cliffs. The charges were dependent on time but the boatman cheated, and when I complained he retook me for the ride but purposely drove the boat rashly. Such are the people who damage the image of their country. Anyways apart from this, all was good, and Lebenese were friendly. In the evening I went far bar hoping, see people enjoying in the pubs and on the streets. I struck a conversation with a guy standing next to me. He was a banker by profession and friendly. We chatted for a long time; he told me how lively Lebanese are and how much they love partying. I still remember his hospitality. Next day was my flight, and I was quite satisfied and happy that I visited this lovely country; hopefully, I’ll revisit it someday in winter.